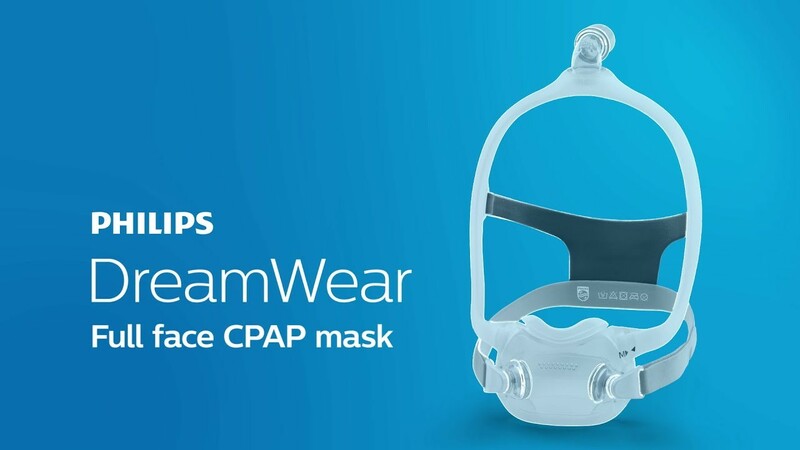 The DreamWear Full Face CPAP Mask with Headgear includes a Small and Medium Frame. You only have to choose the size of cushion you need! 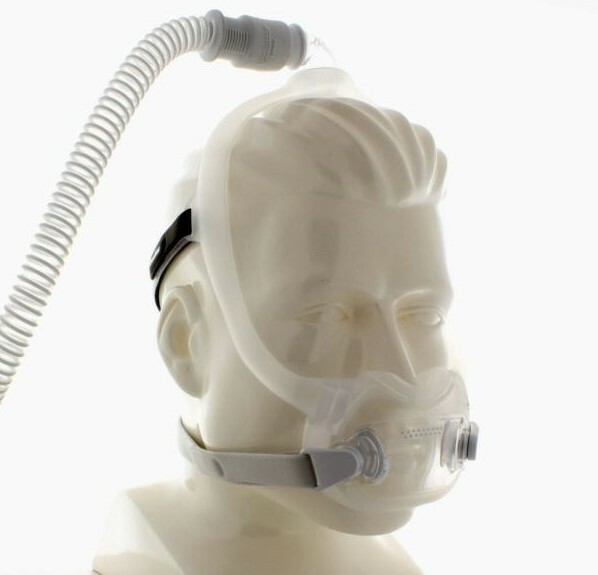 The headgear clips and mask cushion of the DreamWear Full Face Mask contain magnets. The clips should be kept at least 2 inches away from any active medical device with special attention to implanted devices such as pacemakers, defibrillators, and cochlear implants. 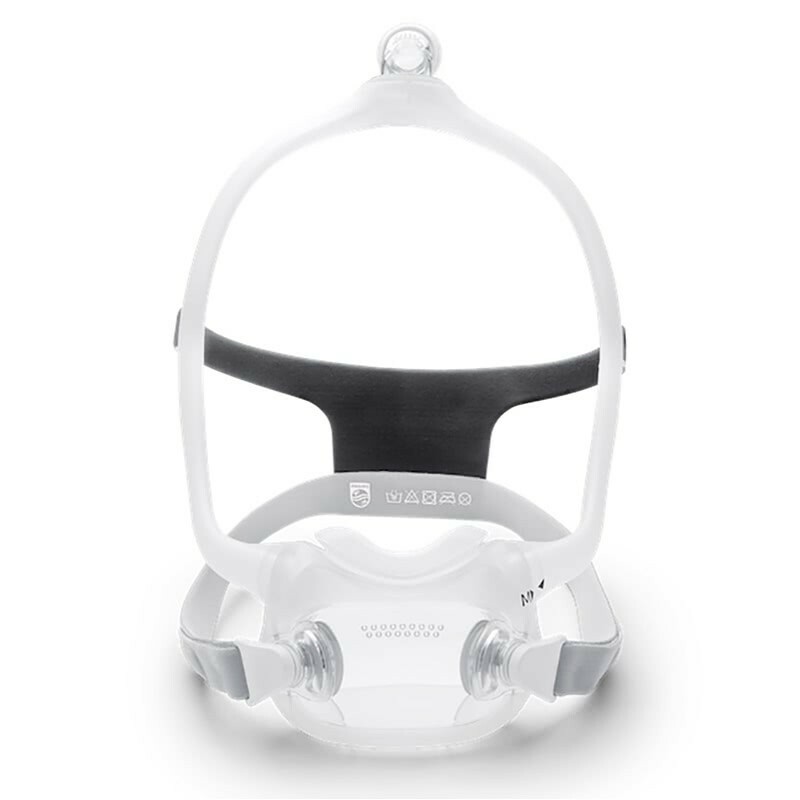 The ideal fit for the DreamWear series of masks is one in which the frame goes up the side of the face, between the eye and the ear. If the medium frame slips when positioned this way, and slides back over the ear, it's a sign the small frame is a better fit. If the medium frame bunches up close to the eyes, or partially blocks view, it's a sign the large frame is a better fit. The manufacturer has provided a helpful frame fitting guide that can assist with frame selection. Position the frame on top of the head. Pull the headgear over the back of the head. 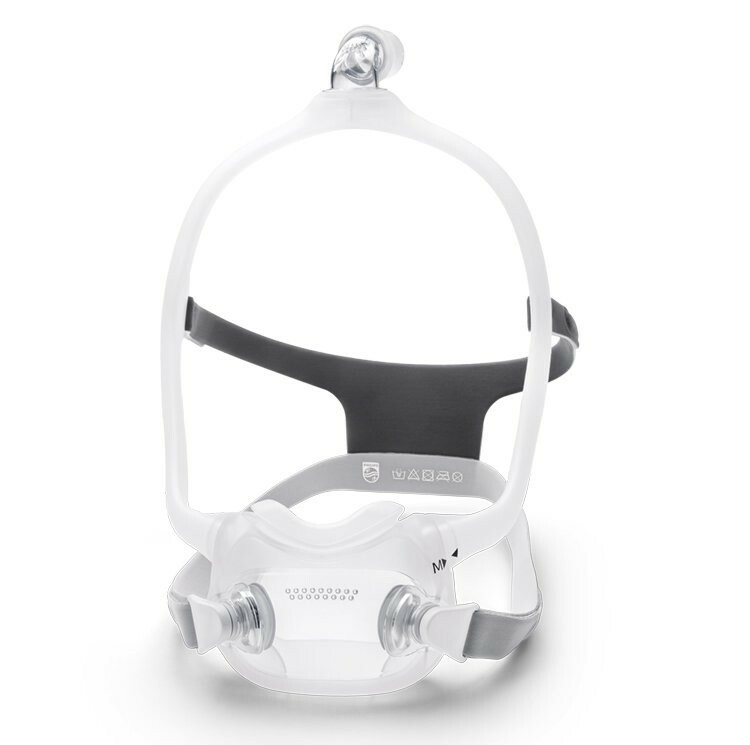 Attach the magnetic headgear clips to the mask cushion. 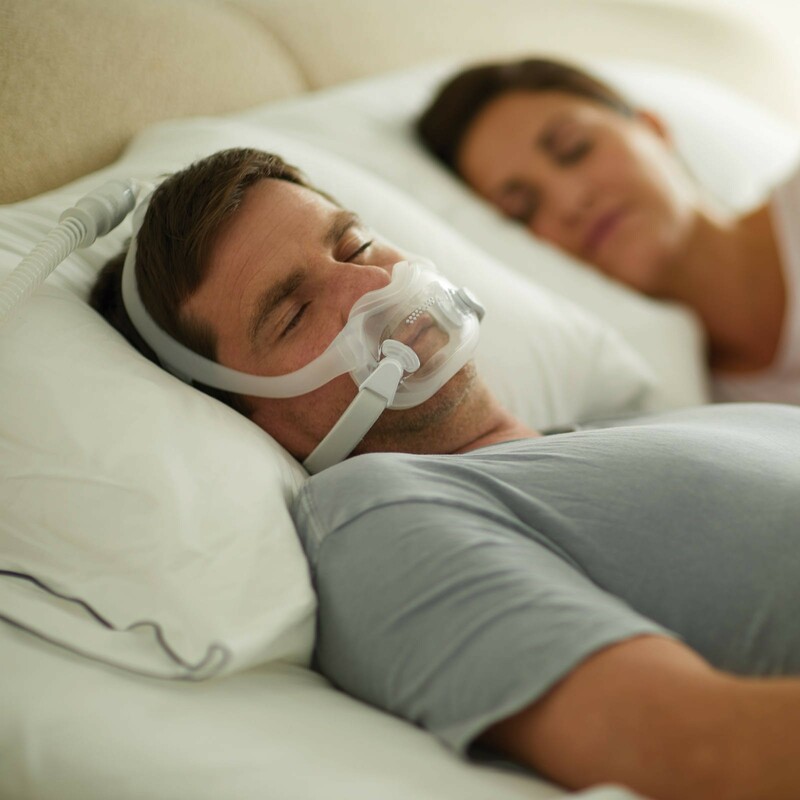 To keep the adjustments, remove the mask by grasping the cushion and pulling forward away from the nose. Then pull the cushion and mask up and off of the head. Fill a basin with warm, mild soapy water. Submerge the DreamWear in the water and allow the water to fill the frame. Gently allow water to pass through the frame. Lightly scrub the cushion, and remove any deposits. If there happens to be any moisture inside the frame, connect the frame to the machine, and run it with pressure. This should remove the moisture. Allow to drip dry before the next use.